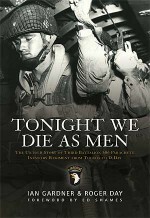 This follow-up to Tonight We Die As Men continues the story of the 506 Parachute Infantry Regiment of the 101st Airborne Division as they dropped into Holland as part of Operation Market Garden. The following 72-day campaign saw the 506PIR constantly on the move, defending various transport hubs around Eindhoven, desperately trying to keep open ‘Hell's Highway'. From there, the airborne troopers moved north to near Arnhem where they took a new position around Betuwe. For two months, the Americans battled against German tanks, constant artillery barrages and driving rain and they grimly held their ground, until the Germans finally abandoned the effort. 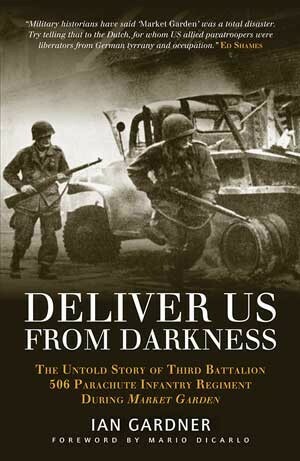 Written with the help and input from numerous veterans, this book tells the complete story of many of America's best soldiers as they fought and died in Holland. Ian Gardner served for five years in Support Company, 10th Battalion, the Parachute Regiment as a medic before leaving the Territorial Army in 1993 due to injury. Always enthusiastic about military history, several years after leaving 10 Para Ian became interested in World War II US Paratroopers. After a visit to Normandy in 2000 he decided to focus on the 101st Airborne Division, and in particular the 3rd Battalion of the 506th Parachute Infantry Regiment, which led to the critically acclaimed Tonight We Die As Men, co-written with Roger Day. This, his second historical work, continues their story. Currently self-employed, he is married with two grown up children and lives near Aldershot in Hampshire.Col. Ed Shames is a ‘Band of Brothers' veteran. He received a battlefield commission into E ('Easy') Company of the 506th PIR on 13 June 1944 in Carentan, France. He survived the war before eventually retiring as a Colonel. He is an active member of veterans' societies.